The first version was released in 2012. 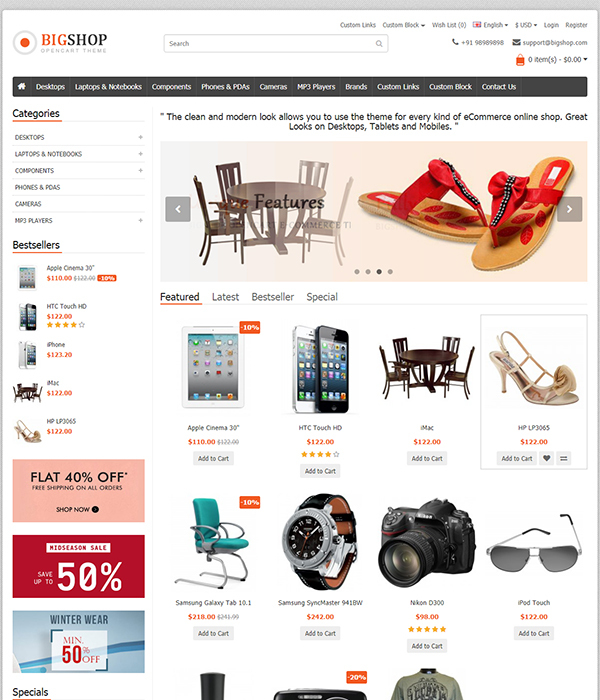 Until now, it achieved many marked points on eCommerce aspect that demonstrated by creasing many users years by years. If you are confusing in using an eCommerce site, why don't you select OpenCart? With advantages of easy-to-use and cost-effective template, OpenCart will be sure in the wishlist of anyone who has an online store. Now we will offer you a review on Top 10+ Opencart themes 2019. To be added in "must-have" items of any developer, eMarket OpenCart theme is on the top best-seller in OpenCart Platform on Envato. With many features like Marketplace support, Messenger livechat, OnePage Checkout, eMarket is really great for an eCommerce site. Moreover, its speed is quite fast, page loading level is good, user-interface is friendly. Especially, it has more than 23 homepage design with different topics for any option. It's great for your customers with a pleasant and easy experience. It was one of the best-selling themes in the last 6 months on ThemeForest. 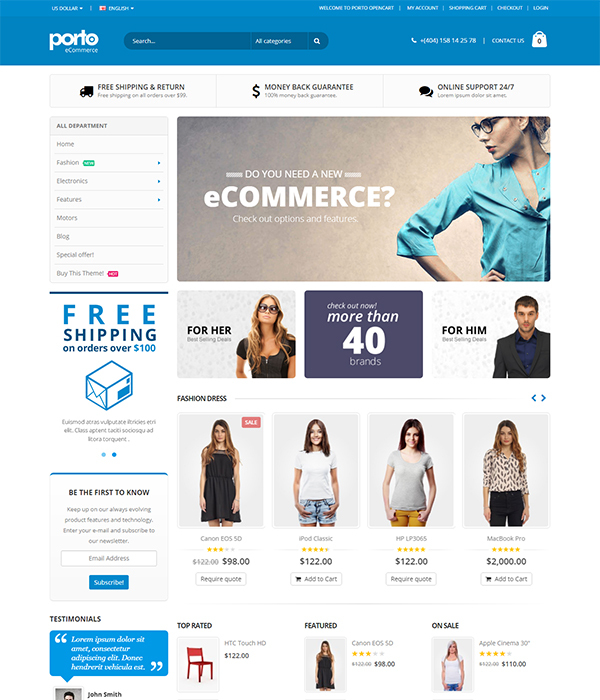 Revo is a modern and fully responsive multi-purpose OpenCart theme for any type of store. In combination with the super powerful administration panel packed with a bundle of options, you totally yourself can create a unique e-commerce website, only for you, name your own one. Now, Revo Opencart E-commerce theme definitely bring back to you many awesome experience by providing a lots of functional extensions such as: Mega Menu with multi-columns (sticky Menu – Fixed menu), attractive homepage slider with many smooth effects, multi-language, multi-currency, image popup view and much more, super faster speed to enhance the customers’ experiences. The easy-to-custom Admin panel and detailed documentation will let you totally build and control your store. 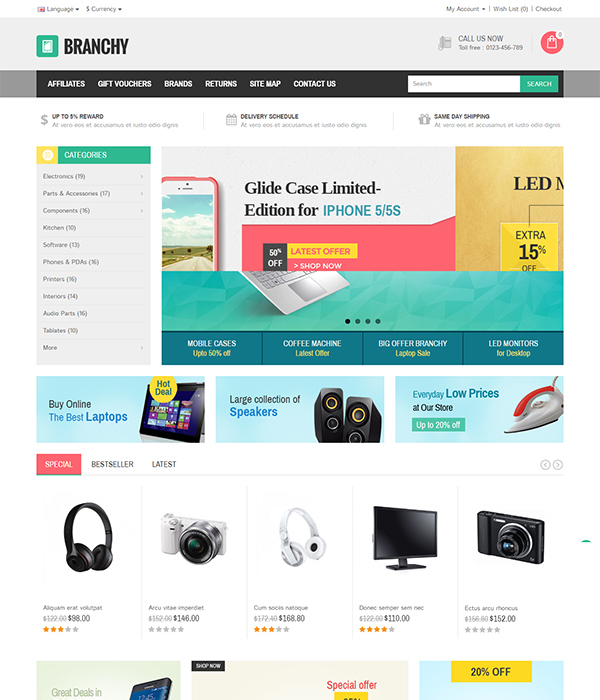 Branchy Opencart Responsive Theme is a multipurpose theme with trending designs for electronics, mobile, computer and multi-purpose stores. It is looking good with colors combination, color swatch look. All sub pages are customized easily. Porto is in top OpenCart theme on Themeforest, it is not only an Ultimate Responsive Opencart Theme that is extremely customizable, easy to use and fully responsive but also suitable for every type of business, portfolio, blog, and e-commerce sites. Especially it's very beautiful on mobile devices. 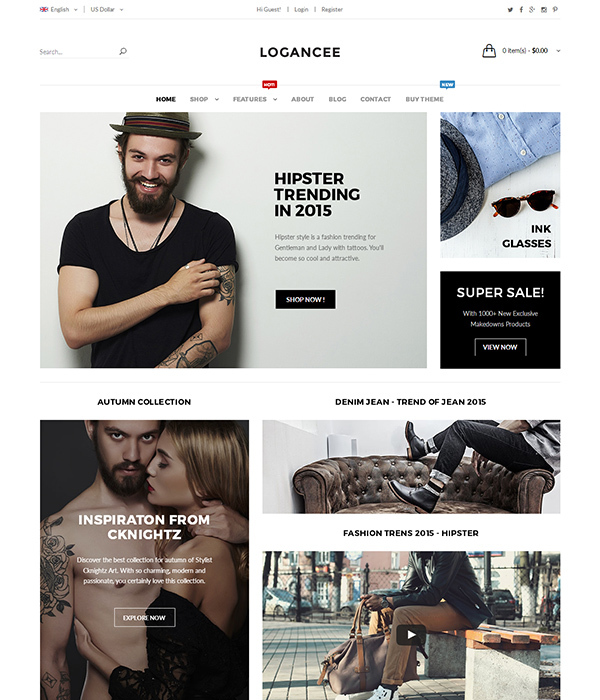 Logancee is OpenCart theme fully customizable and suitable for e-commerce websites. It is characterized by universality, attractiveness and easy customization. The template is not only visually appealing, but also uses the newest trends in coding with the use of html5, css3 and bootstrap 3. Besides, it has 12 basic versions that you can further edit. 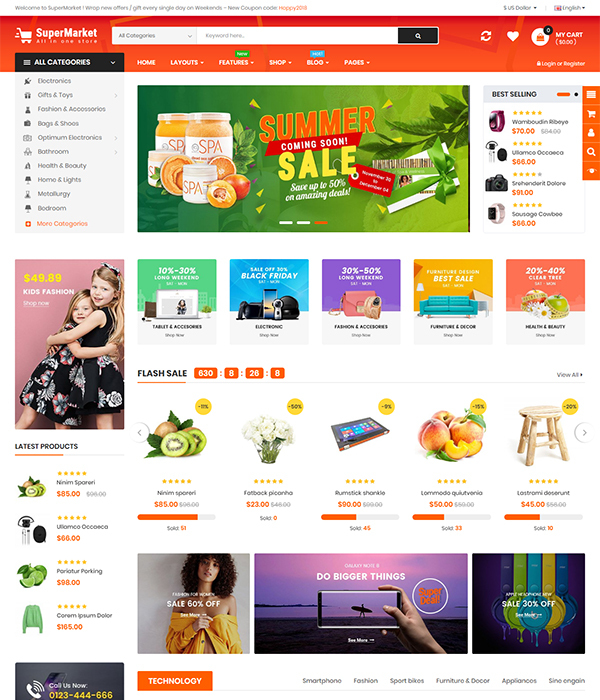 SuperMarket is an advanced & ultimate OpenCart 3 theme that is fully customizable and suitable for e-commerce websites of any purpose. It is also the typical OpenCart theme model by universality, attractiveness and easy customization. Not only compatible with Product Design Module & Slider Revolution, it also work fine with multivendor plugin from Purpletree Software. 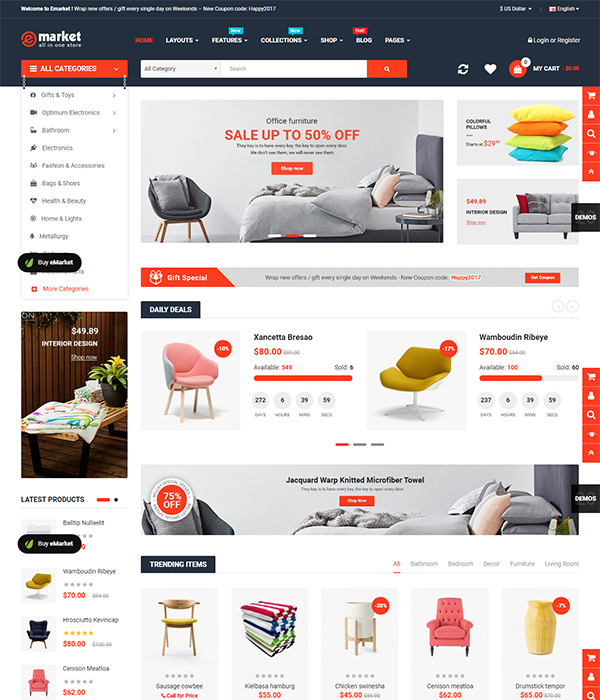 You can buy this plugin to turn your shop to be a marketplace and connect many vendors & customers as well..
EtroStore is one of the most amazing OpenCart Theme from Magentech – Power Elite Author. It serves many kinds of shop: Digital, shopping, fashion, market, sport, beauty & etc.let you totally build and control your store. Moreover, this theme comes with attractive design from the first seeing, clear layouts ( 3 homepages, Boxed layout and RTL layout), and various color schemes.Recently, it also added 3 mobile layouts for mobile devices. It has 2 versions: 1 for OC3 and other one for OC 2.3.x. 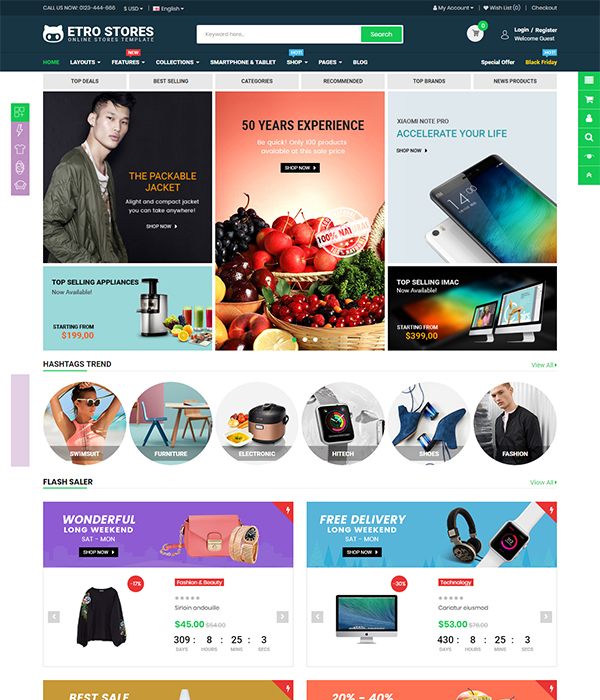 Simple and clean responsive OpenCart theme with most advanced features for eCommerce website in the OpenCart world, BigShop is in list of top eCommerce Theme in Opencart aspect. It is compatible with OpenCart: 2.0.3.1 / 2.1.0.1 / 2.1.0.2 / 2.2.0.0 / 2.3.0.2 / 3.x. You will have 3 demos for selection. 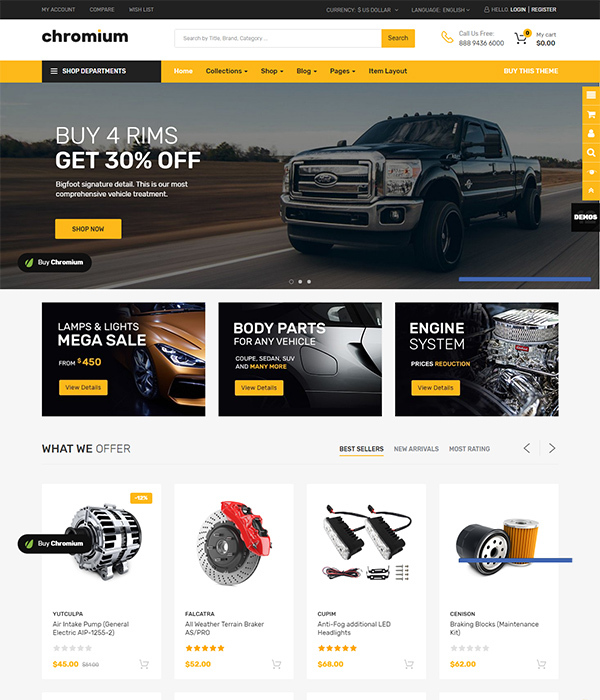 Chromium is a professional Auto Parts Opencart Themes with well structured and organized layouts designed for online stores selling auto parts, equipment, accessories, cars, motorcycles, spare parts. Theme is packed with lots of PRO eCommerce features, such as OnePage checkout ready, Slider Revolution Support, Rich Snippet Ready, AMP support and many other features Besides, the OpenCart 3 theme is SEO optimized to be friendly with most popular search engines. Especially, theme brings you 3 mobile-specific layouts with new features to make your store professional and outstanding among other stores. 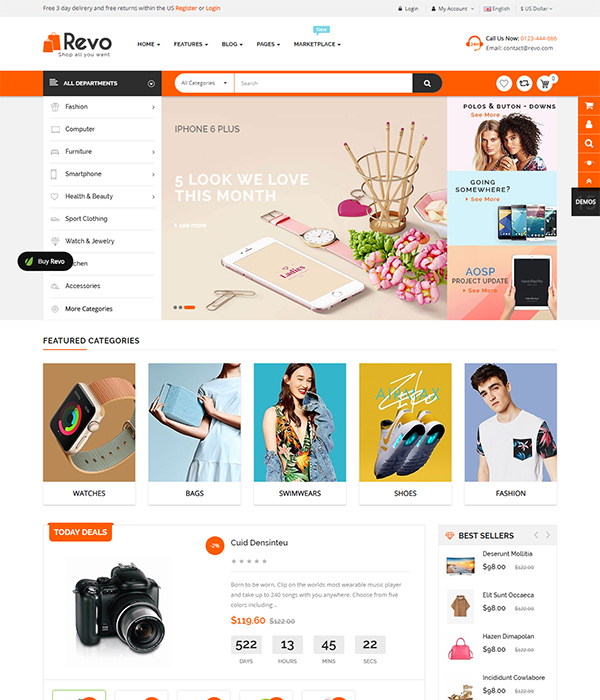 Fastor is the best product in series of Top OpenCart 3 Theme 2019. It’s most powerfull theme with tons of options. 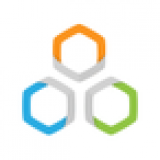 Many modules allows you to save more than $200 and create store without additional costs. 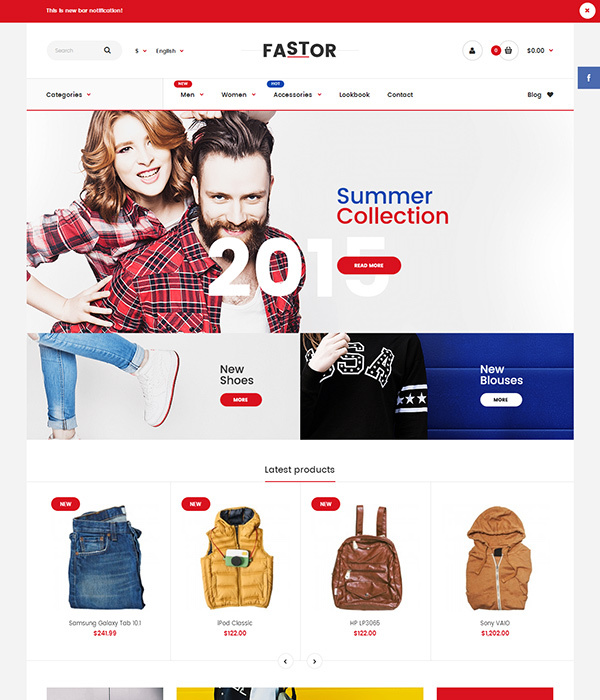 In addtion, Fastor is packed with features and layouts so not only will you be creating beautiful OpenCart websites easily, you will also receive huge savings with our included modules, including: Revolution Slider, Blog, Multistore MegaMenu, One-Page and much more. 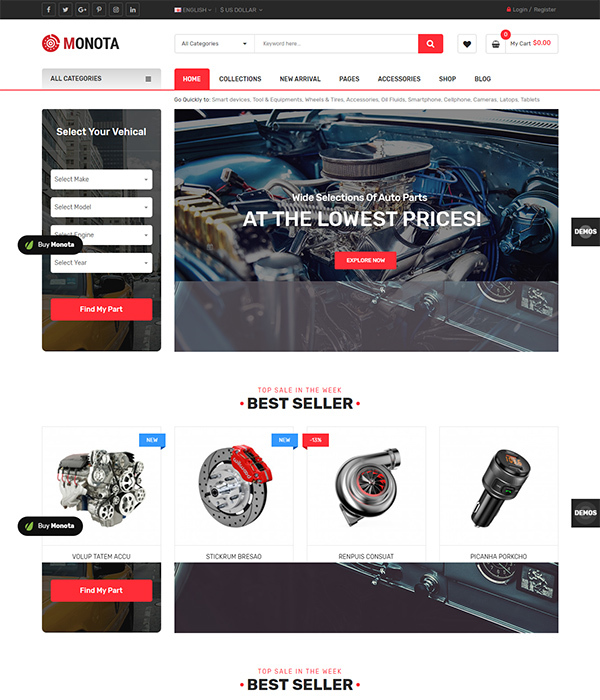 Monota is a responsive OpenCart template designed for all stores and businesses selling any kind of auto parts, auto equipment, Spare Parts, Cars, Tools, Accessories and multipurpose purpose store Supporting the latest version of OpenCart 3.x, this theme has a bundle of functioning features of a modern template for multipurpose in building a website. Moreover, it has mobile layouts specific, OnePage checkout ready, Slider Revolution Support, SEO Rich Snippet Ready and many other features. It's not all hot & updates OpenCart 3 Theme 2019 because this post can't mention all of them. Hope you enjoy it and have some suggestion for your OpenCart Store, and online store as well. If there is any question, don't hesitate to share it in the comment box below! 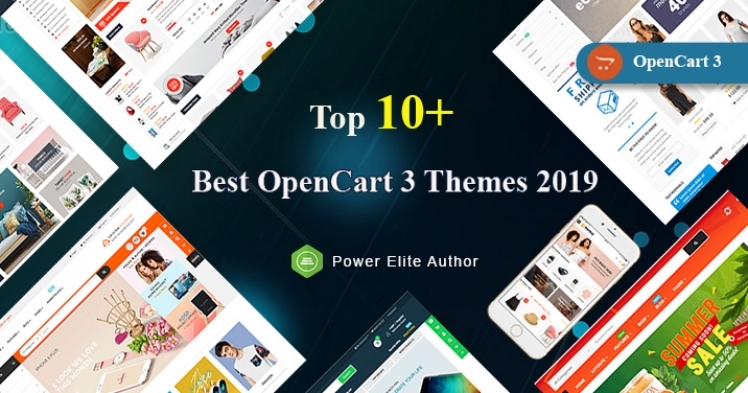 Goodbye and see you in the next collection of Best Free & Premium OpenCart 3 Theme 2019!